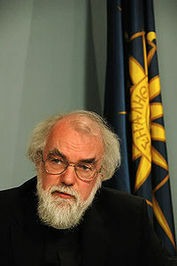 Rowan Douglas Williams, Baron Williams of Oystermouth, is an Anglican bishop, poet, and theologian. He was Archbishop of Canterbury from December 2002-2012, and is now Master of Magdalene College, Cambridge and Chancellor of the University of South Wales. Is this you? Let us know. If not, help out and invite Rowan to Goodreads.